SKU: FLX-HV. 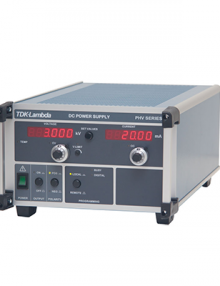 Categories: AC Power Supply, DC Power Supply, TDK-Lambda Americas Inc.. This series features Output voltages of 10kV, 30kV, and 50kV at power levels of 200Watts, 500Watts, and 1,000Watts. 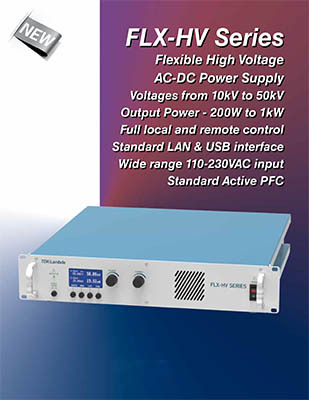 Wide range single-phase 110/230VAC Input (100-254VAC, 47-63Hz) with Active PFC (PF>0.95) is standard for all models. 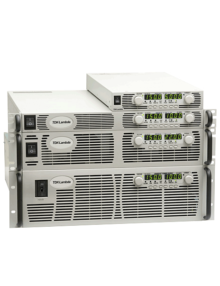 The FLX-HV supply features standard integrated USB and LAN digital interfaces. All models are CE Marked in accordance with the Low Voltage and EMC Directives, and are RoHS compliant and offer a three (3) year Warranty. The FLX-HV model table below can be sorted by any column, just click on the column header to sort ascending or descending. 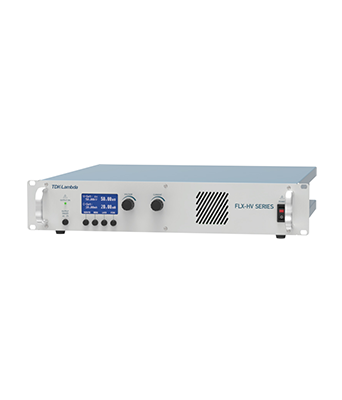 The FLX-HV series of programmable AC/DC power supplies are flexible, precise, low ripple, affordable, programmable High Voltage DC power supplies with standard LAN and USB interfaces, for a broad range of scientific and industrial applications. The FLX-HV series is a highly efficient, compact and robust design at an affordable price point. 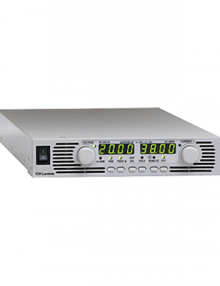 Combining simple operation and an easy to use multi-function display, these power supplies are well suited for applications in industry, science, and research institutions. FLX-HV models feature flexible and easy to operate local controls combined with a multi function digital display that simultaneously shows both the output set points and actual measured values. HV outputs can be adjusted with Voltage and Current encoders with coarse and fine settings, with set point adjustment possible even with the output locked. The local control interface also allows the user to set the IP address, displays information about the unit, such as serial number, firmware version, operating hours, MAC address and internal status. Other features include; Operating hours counter, device history (fault memory), streaming of actual values and states with timestamp, flash-over counter, overtemperature device shutdown, and much more. The HV output is resistant to short circuits and flash-overs and can operate continuously into a short circuit. The FLX-HV supplies are suitable for both inductive and capacitive loads and for unlimited operation at both full and no load. Multiple protective functions protect external load circuits from damage due to output overvoltage and overcurrent. As soon as one of the programmable output set points is reached, the DC output is highly regulated and prevented from exceeding the setpoints. Multiple temperature sensors monitor the main power components, and in the event of a fault, power circuits are shut down and a fault message is displayed. Standard integrated LAN and USB interfaces are located on the rear panel. 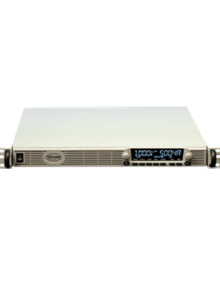 This ensures the power supply can be controlled and maintained remotely and also allows multichannel communication with the unit using checksum-protected data transmission. All models are CE Marked and offer three (3) year Warranty. Continuous adjustment from 0 to rated voltage/current by encoder with coarse/fine setting, and locking control. Encoder steps are programmable via the remote interface. Voltage and Current encoders, Power switch, HV ON/OFF switch. Units must be supported on an appropriate shelf if rack mounted.